Spirituality can be very personal. Some spend their whole lives in search of spiritual awakening and never find it; some spend their days enacting restrictions to their life for the sake of pure or righteous living. Regardless, spiritual awakenings and discoveries rarely come by staying still in our own lives but rather through walking out the door and encountering the world around us. Walking and trekking are great ways to do just this, giving us the opportunity to feel our bodies move amongst trees and natural landscapes and encounter the world anew. One of the best places in the world to encounter the divine, the spiritual, or merely our own smallness in the vast space of our world is the summit of Mount Kilimanjaro in Tanzania. One Kilimanjaro trekker said that standing on the summit made her realise that we humans are small and insignificant and yet this was not depressing but freeing, it let her know that our lives are relatively nothing, therefore what we do with our lives and how we spend our times is incredibly important. Her revelation has brought her back to trek Kilimanjaro again and again in the hopes of new spiritual revelations at the peak. 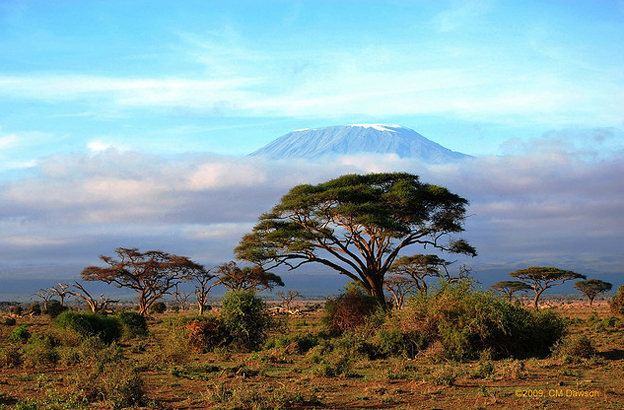 Mount Kilimanjaro is one of the most desirable mountain climbs in the world, and as Africa’s highest peak at 19,340 feet (5,895 meters), sitting right on the equator, this glorious mountain is one of the most beautiful as well. The climb is not overly difficult (it certainly doesn’t compare to K2 or Everest), it is more of a long trek. This makes it quite accessible, as great skill and fitness are not necessary, though they are helpful. Still an ascent will take you around 5 to 7 days. 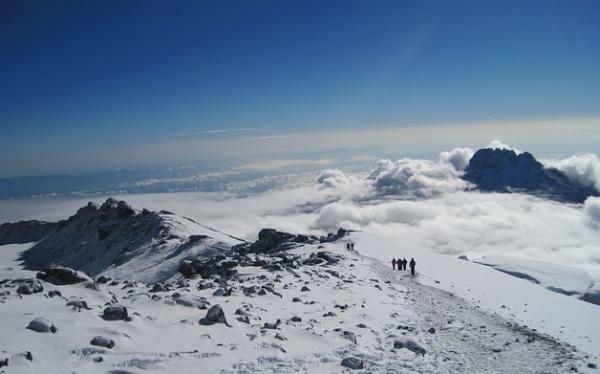 The hardest part of a ‘Mount Kili’ climb is adjusting to altitude and climatic changes as you ascend. Those who haven’t made it to the top often fail due to altitude sickness or low stamina, not falling. Your greatest asset to this climb is good planning, developing your stamina and ensuring you go up with a good guide. Most who entrust their journey to a good guide do complete the ascent. Mount Kilimanjaro’s great allure is not only the relative ease with which it is possible to make the ascent. Kilimanjaro is a place of spiritual awakening for many. As trekkers gasp for breath due to altitude changes and rest and wait to recover before moving on, the journey to the top can be a literal and spiritual breath of fresh air providing valuable insight and freedom in personal lives. Many who have departed and begun their ascent feeling defeated and overcome, return from their ascent of Kilimanjaro as whole and healed people. Often our physical distresses are related to our emotional and spiritual health. Trekking can force us to face our personal demons by overcoming our own physical pain to force us to carry on and reach the top. This physical struggle can mirror spiritual and emotional ones thus creating a cathartic release when you reach the peak. While spirituality can be very personal, there are some places that free us to encounter the spiritual more than others and Tanzania’s great mountain is one of those amazing places. Realising our smallness can often be the trick to releasing us to live big, extraordinary lives. Key Newey, the author of the “At the Peak of Kilimanjaro” is copywriter who has experienced many spiritual awakenings in hard to reach natural places, but not yet Kilimanjaro. She currently writes for Africa Sky holidays.